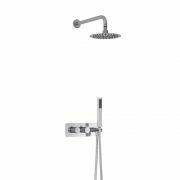 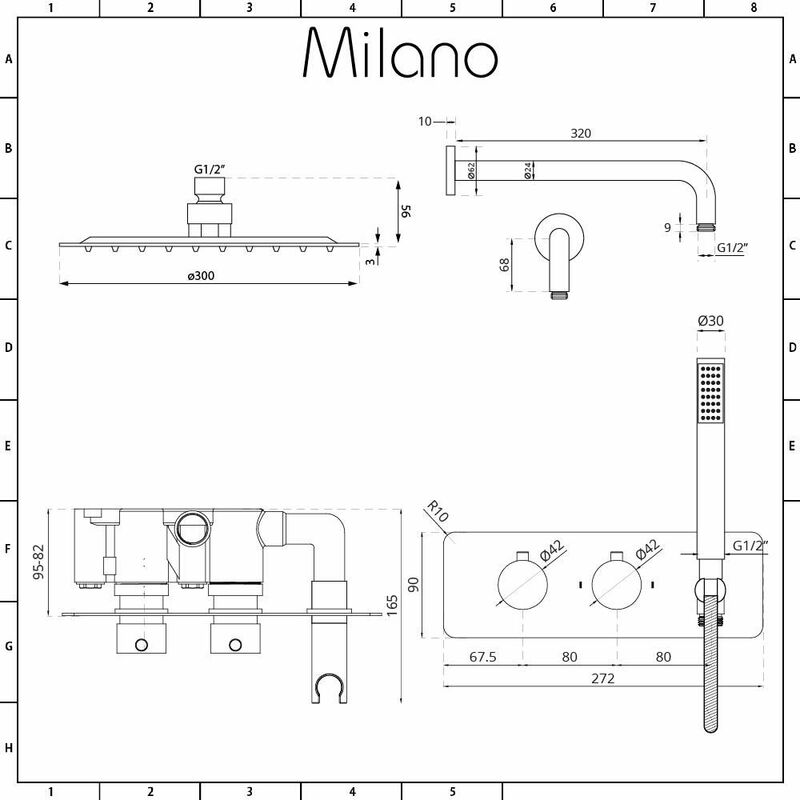 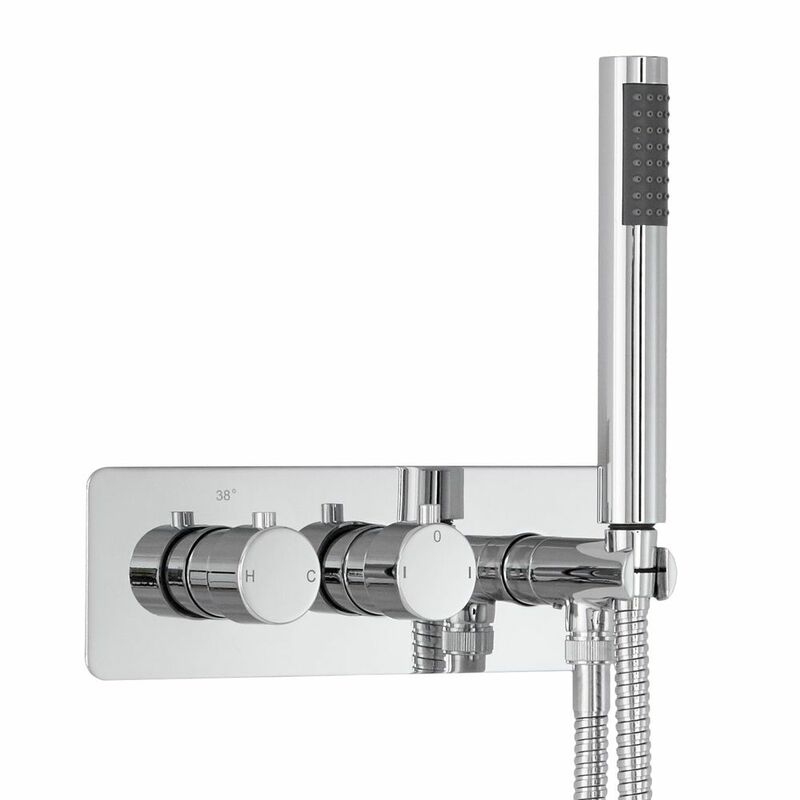 The Milano Mirage round twin diverter thermostatic shower valve comes with the handset and the 300mm shower head with wall mounted arm. 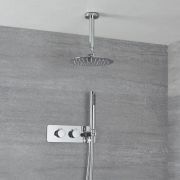 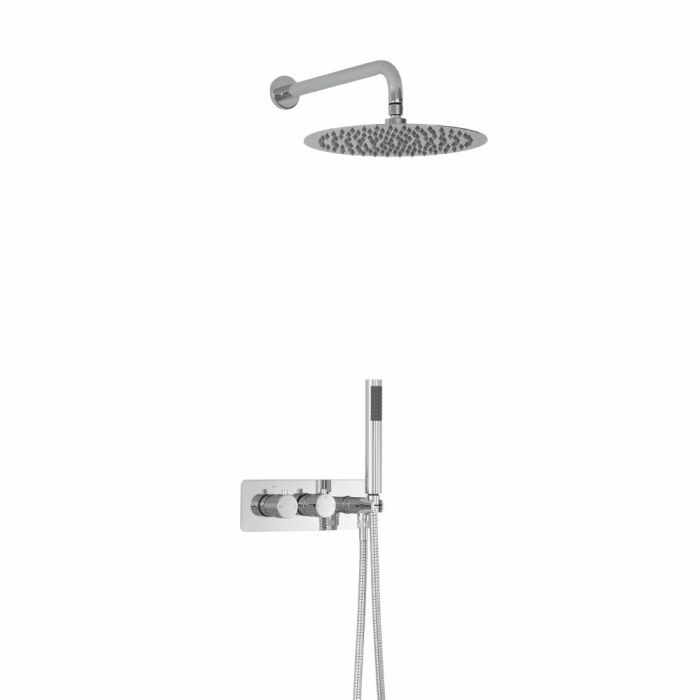 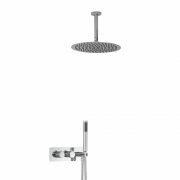 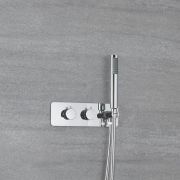 Featuring a chrome finish and round handles, the shower valve incorporates anti-scald technology for peace of mind. 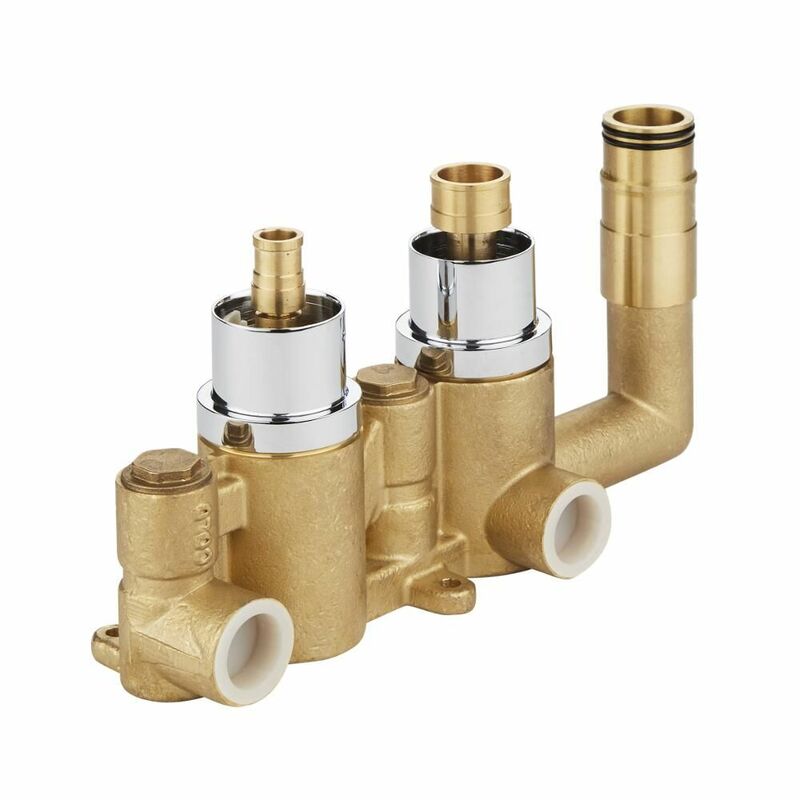 The valve is made from brass so you can be assured of quality and durability. 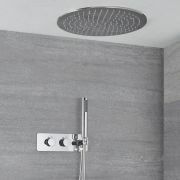 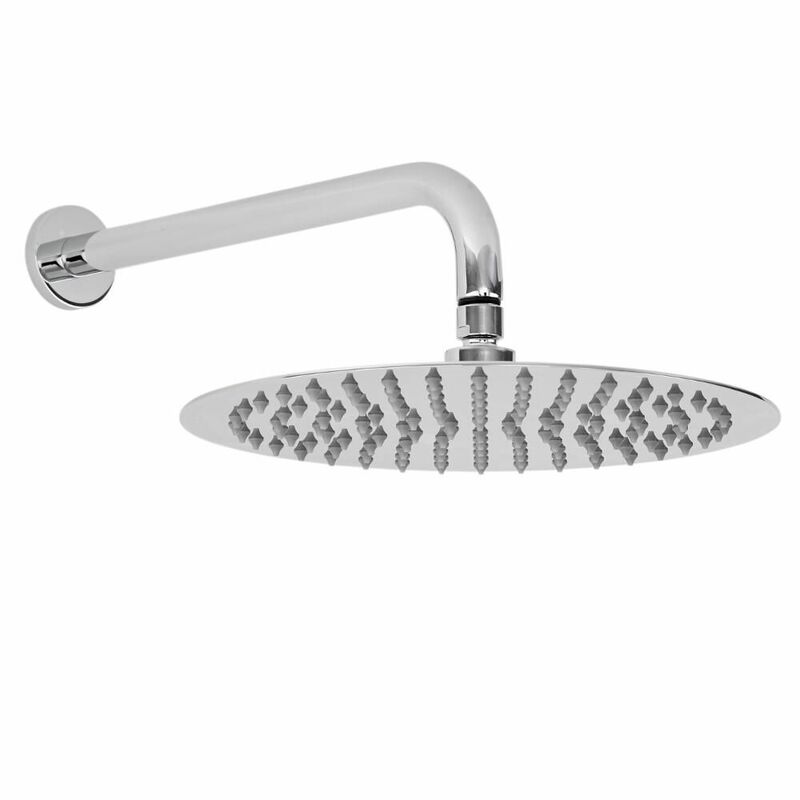 The fixed shower head delivers a refreshing rain fall effect. 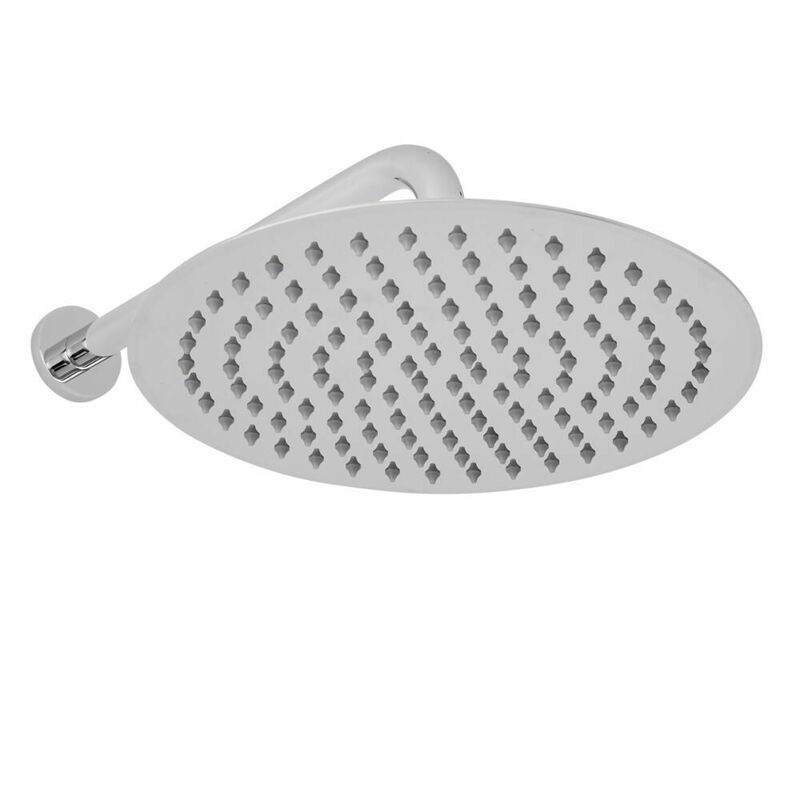 It has easy to clean silicone nozzles and a stainless steel construction.